Former presidential candidate and Yabloko party leader Grigory Yavlinsky has announced in his blog that time constraints were the reason why so many signatures in his support appeared to have been incorrectly collected and submitted. Yavlinsky wrote that the federal headquarters that coordinated his presidential campaign as an independent candidate had to bring to Moscow, check, get signed by officials and put into brochures over two million signatures from all over the country. The Russian law on presidential elections demands that an independent candidate provide at least 2 million signatures from supporters, but specifies that no more than 50 000 signatures can come from any one of Russia’s 83 regional subjects of Federation. Also, the law allows the candidate to announce the intention to run only after the date of the elections is officially set and announced. Only then does the Central Election Commission hand him a set of official documents needed to start collecting signatures. All this leaves just one month to actually collect, process and present the signatures to the election authorities. Yavlinsky noted that the cases pronounced by the commission as violating the law were simple mistakes or technical differences. 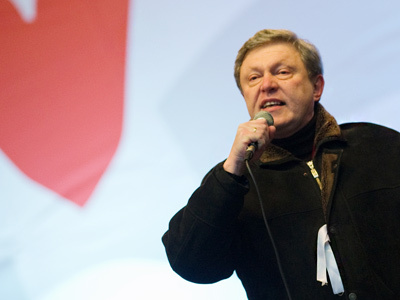 Besides, Yavlinsky holds that some differences in presentation are not directly prohibited by the law – in particular, digital copies of the signatures, verified by officials. Yavlinsky said his HQ had decided to wire digital copies to Moscow due to the severe shortage of time. However, the law directly states that all signature lists must be completed by hand and presented in this way. 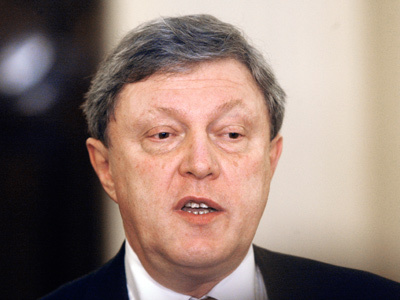 Yavlinsky nevertheless maintained his earlier position – that his removal from the election was a political move on the part of the authorities. “The authorities forbade me to register for the election so that there is no alternative. 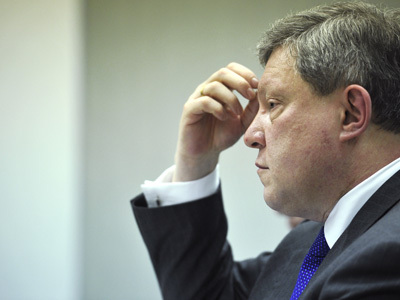 The election commission followed an order,” Yavlinsky wrote. However, the Yabloko party, that Yavlinsky used to head and that provided most of his political support, gathered 1.59 percent of votes at the December parliamentary election, and Yavlinsky’s rating in public opinion polls held before his removal from the race was virtually zero. Other independent presidential candidates have also complained about the one-month period to collect signatures. Even Russian billionaire Mikhail Prokhorov, who is the only independent candidate running, earlier called the registration procedure “unfair and unjust”. The head of the Central Election Commission, Vladimir Churov said in a press interview that he and other members of the body were shocked by the number of invalid signatures in Yavlinsky’s support. “We did not expect such quantities of defective papers from Yabloko. This was not a surprise, but rather a real shock. Usually Yabloko is very tidy in collecting signatures,” Churov said. 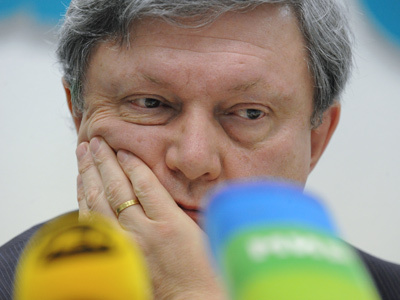 Churov also said that the Yavlinsky signatures were occasionally a real joke. For example, it appeared that the head of the Central Election Commission’s legal department had also signed the list in Yavlinsky’s support. The official, however, strongly refuted this and showed that his real signature was nothing like the one submitted by Yavlinsky’s HQ.